One of the main advantages of using the surgical robot for is minimizing surgical scar. In tendon transfer procedures, one of the tenets of successful surgery is to place the transferred tendon in an unscarred bed to prevent adhesions. Yet in many tendon transfer procedures, large incisions are placed directly over the site of the tendon transfer. 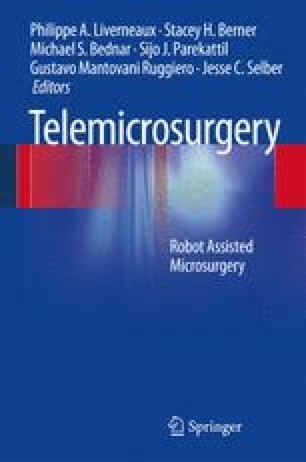 This chapter reviews basic principles of tendon transfer procedures and then demonstrates the advantage of dissection of the donor muscle with the surgical robot in tendon transfer procedures.